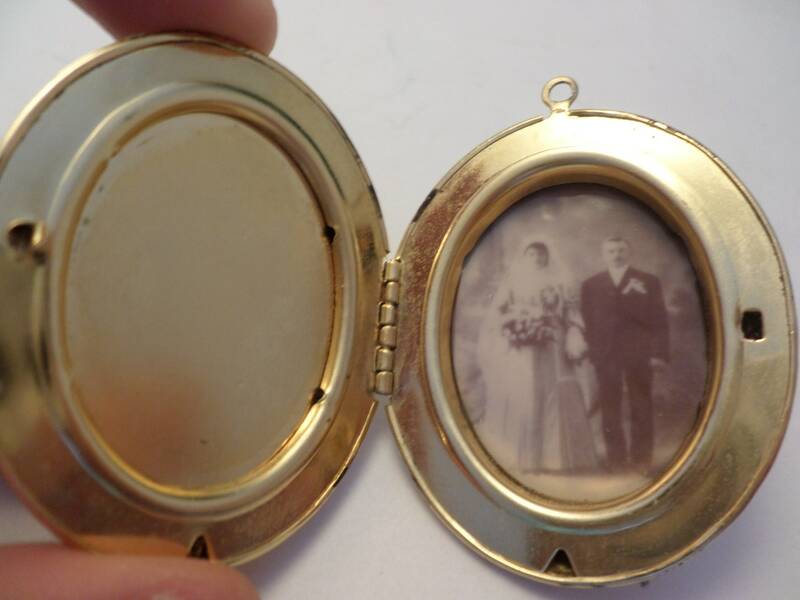 Vintage locket from the 70's made to look like its victorian as was the style in that era... however there is a pretty early wedding photo glued inside by the previous owner. 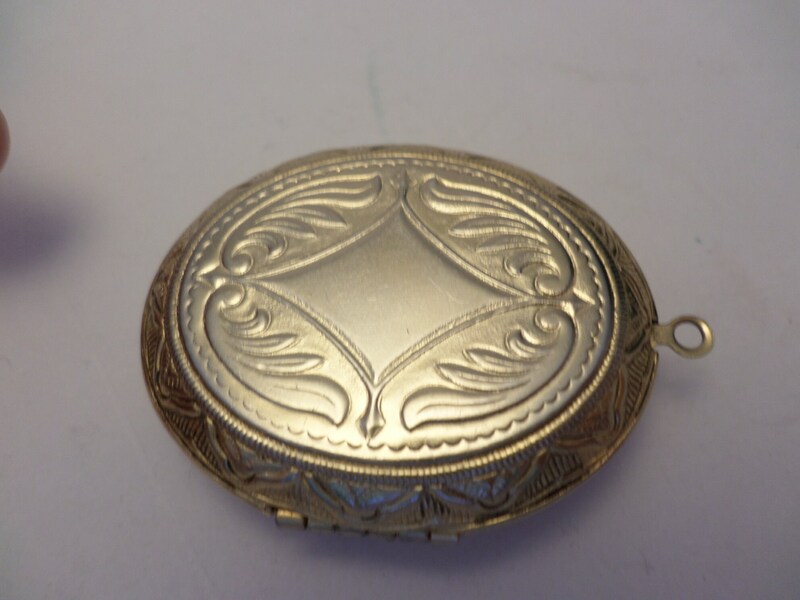 So this is an interesting piece. 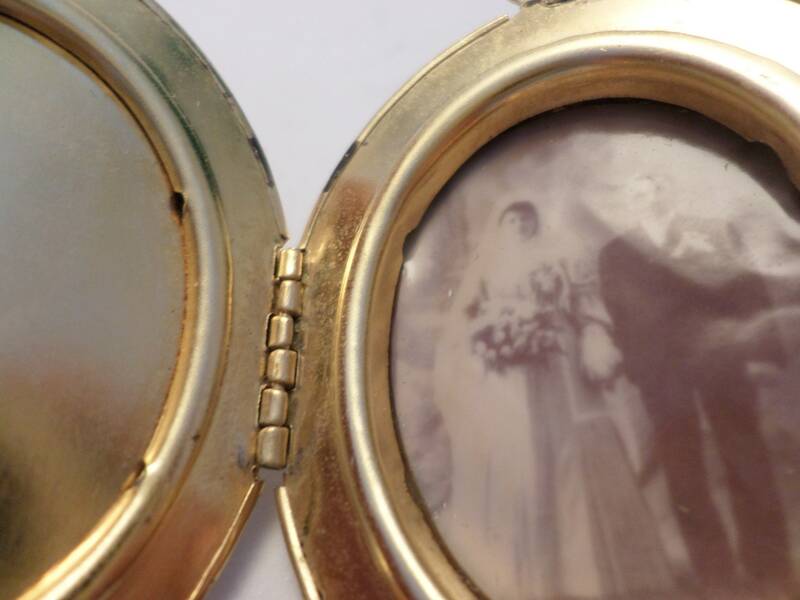 A new photo can easily be put in there over the current one. 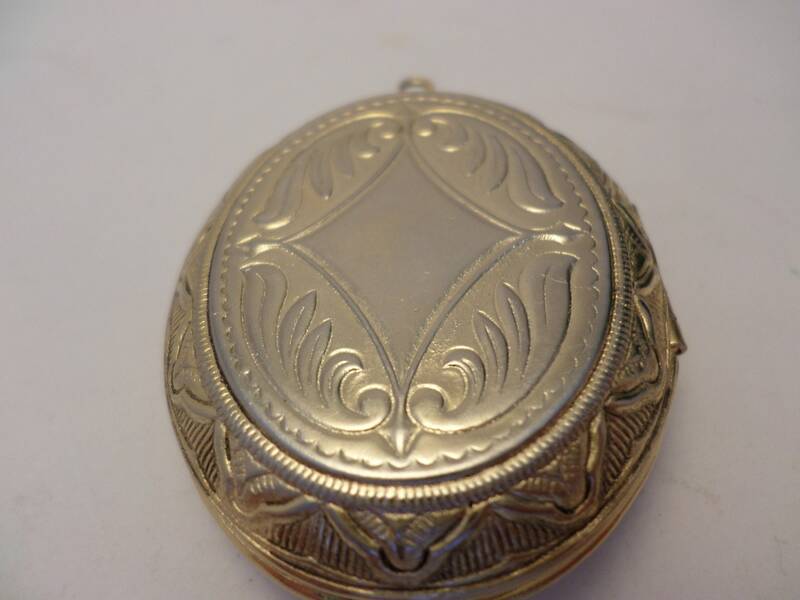 Its charming that its in there! 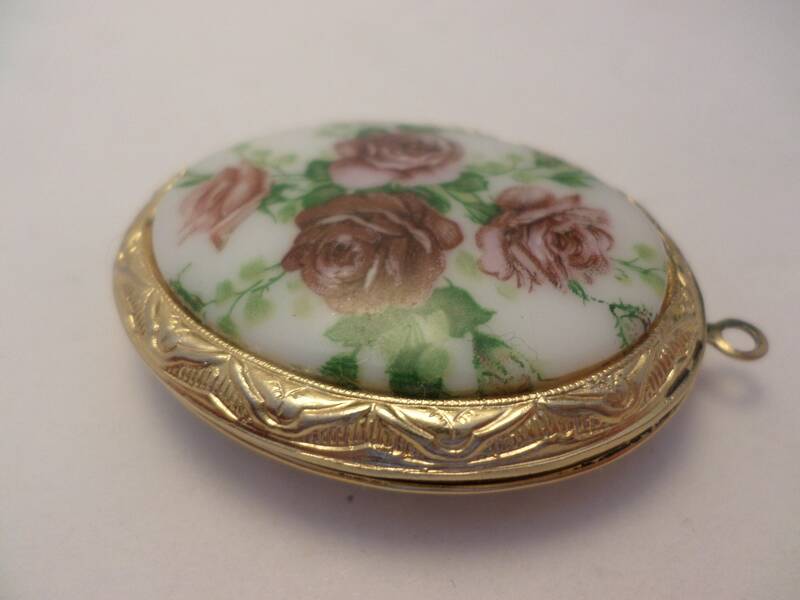 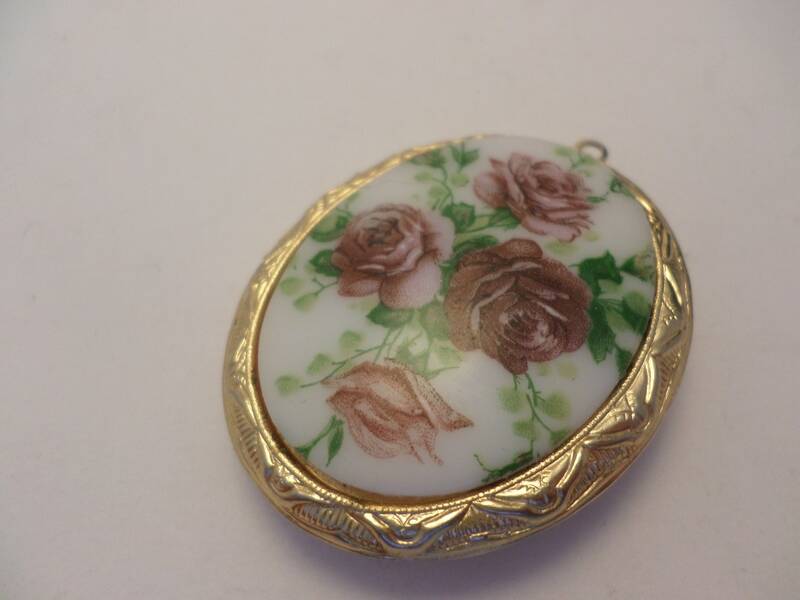 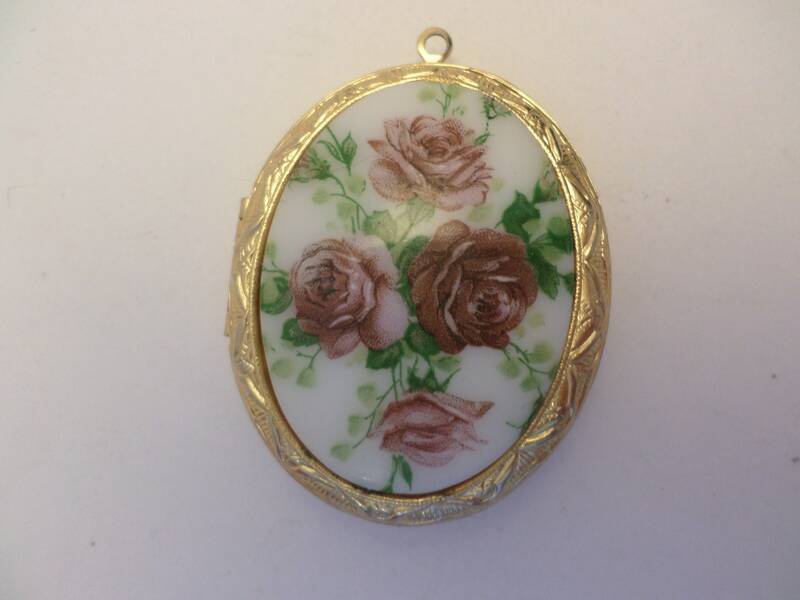 oval hand painted roses on white glass set in gold tone metal, 1.5" by 2"